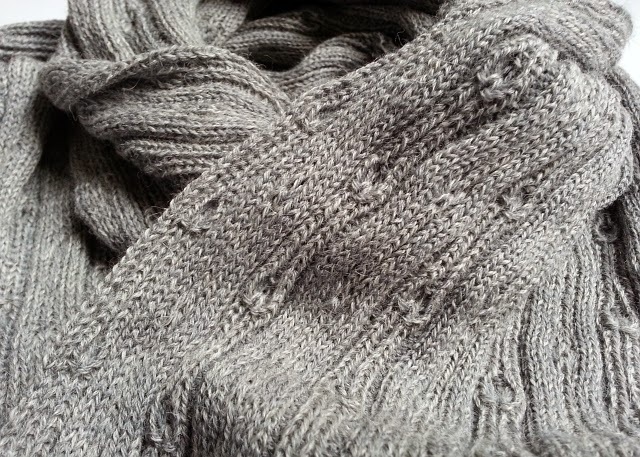 Baby alpaca and merino scarf by O! Jolly! I'm happy to be a participating designer in the Jersey City Art & Studio Tour (JCAST) on October 18th and 19th. 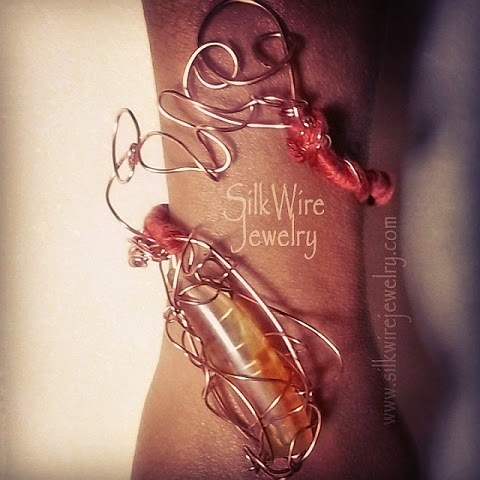 Invited by the lovely and talented Jacquie Bird of SilkWire Jewelry, my goods and I will be making the quick trip across the Hudson River to be a part of a new artisans' studio/showroom. It's called Of Hand, Spirit & Earth. We'll be previewing during the Jersey City Art & Studio Tour. Of Hand, Spirit & Earth is located in downtown Jersey City on a pretty street a couple of blocks from City Hall. It's a quick trip on the PATH train, if you're coming from Manhattan. I'll be showing finished goods -- scarves and wraps. 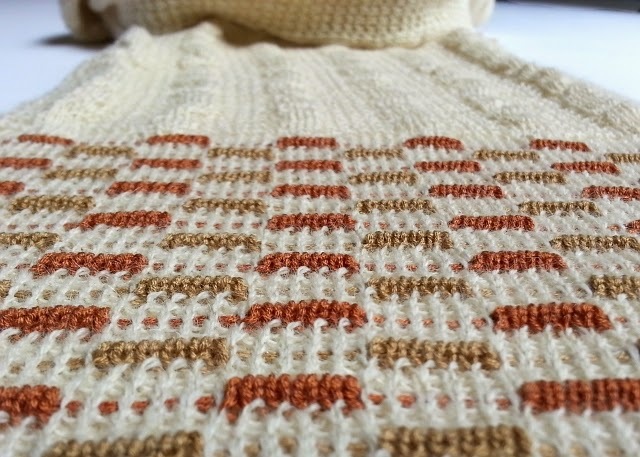 There'll be no sweater knit yardage for sale this time, though I'll have some special sample fabrics displayed and will be able to take orders. Merino wool and bamboo scarf by O! Jolly! Limited edition scarves and wraps -- artwear to gloriously wrap around your neck and shoulders -- they're every textile designer's dream accessory to make. Scarves are the chance to show off both exuberant design and craftsmanship in one single complete accessory. Baby alpaca, fine merino wool, bamboo -- these are the yarns I use to create a knitted scarf or wrap that's luxuriously soft and sophisticated. If you follow me on social media (Instagram, Twitter, Facebook) you may have caught glimpses of a few scarf details last week. 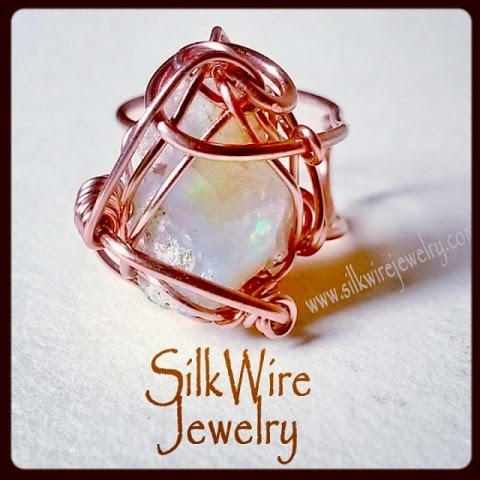 If you're unfamiliar with the jewelry art that is SilkWire Jewelry by Jacquie Bird, you're in for a treat! Jacquie's pieces are handmade creations of beauty, bold and powerful, for women and men. Better than words, here's a peek at a couple of my favorites. Much handmade goodness to see on the JCAST... we'll be delighted to have you stop by!